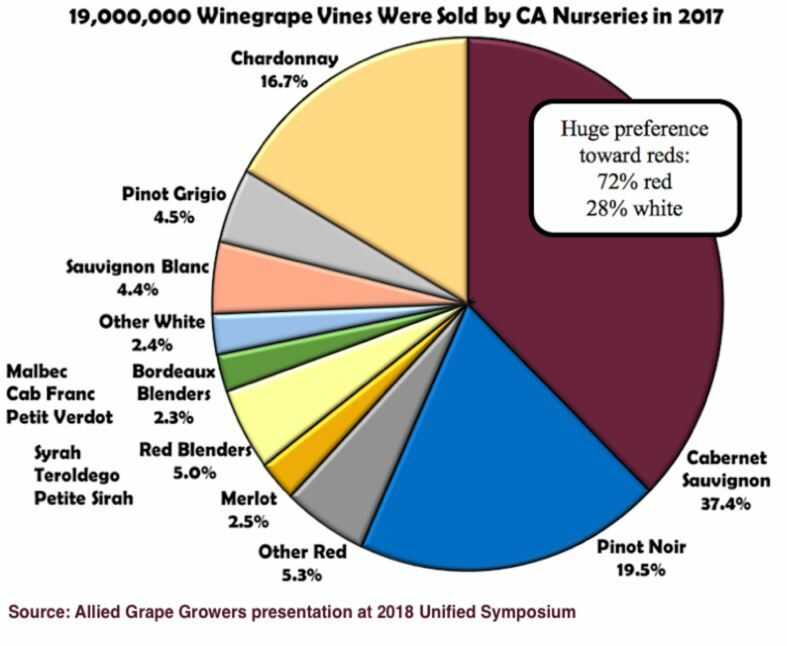 Pinot Noir vines sold by nurseries in California in 2017 were second only to Cabernet Sauvignon indicating planting and re-planting of Pinot Noir continues at a significant pace. Pinot Noir has shown a 65% increase in plantings in California over the ten years from 2006 to 2015. Michael Jappy wrote at www.vintagecellars.com.au about “The Rise and Rise of Pinot Noir” this in 2017. He said, “Pinot has taken the wine world by storm of late and continues paradoxically to entice, to captivate and to confuse many wine consumers. Good Pinot is haunting….enchanting….ethereal….sensual….and caresses the palate. Good Pinot makes you stop in your tracks.” The good news is that the allure of Pinot Noir will always be strong enough to attract those who appreciate fine wine. Winemaker Wes Hagen, formerly of Clos Pepe in the Sta. Rita Hills and now at J. Wilkes in the Santa Maria Valley wrote a piece on the winery blog on how Pinot Noir fares following a late-season heat spice in 2017: http://jwilkes.com/how-does-a-late-season-heat-spike-and-an-unexpected-rainstorm-impact-the-2017-vintage/. He points out that Pinot Noir is particularly heat-sensitive in the weeks leading up to harvest. Sugar levels can spike dramatically within a day or two when temperatures exceed 90 degrees due to dehydration. Warm nights can also rob Pinot Noir of acidity so acidulation may be necessary to replace the acid lost to the night’s warmth. Irrigation is necessary to try to mitigate the impact of heat on the vines. Warmth during the harvest season can result in over-ripeness, necessitating alcohol reduction or the addition of water to fermenters to reduce the alcohol level in the finished wine. Another bit of bad news is the escalating cost of Pinot Noir grapes. The average price per ton for Pinot Noir in Sonoma County was $3,680 in 2016 according to Glenn McCourty, a winegrowing advisor. Currently, winemaker Adam Lee told me that average price of desirable Pinot Noir grapes is $4,000 a ton in Sonoma County. But, there were significantly more sales of Pinot Noir grapes in Sonoma County over $7,000 a ton than below $3,000 a ton. Winemakers are getting squeezed by growers forcing them to raise their wine prices. This escalation in pricing has led a number of my readers to respond such as in an email I received recently: “My concern is that the price of good Pinot Noir is skyrocketing so high that it will soon be impossible to find reasonably priced daily drinkers, especially Pinot Noir that we love with dinner.” The average price of 2016 California Pinot Noir All-Americans in the PinotFile was $70 with 12% of the All-Americans priced at $100 or more. The consumer is hoping that Pinot Noir pricing is close to peaking. Even established wineries are having more difficulty selling premium Pinot Noir. The problem has been compounded by the disappearance of small distributors and the shrinkage in number of distributors and many wineries have turned to selling direct to consumers but not always wit great results. 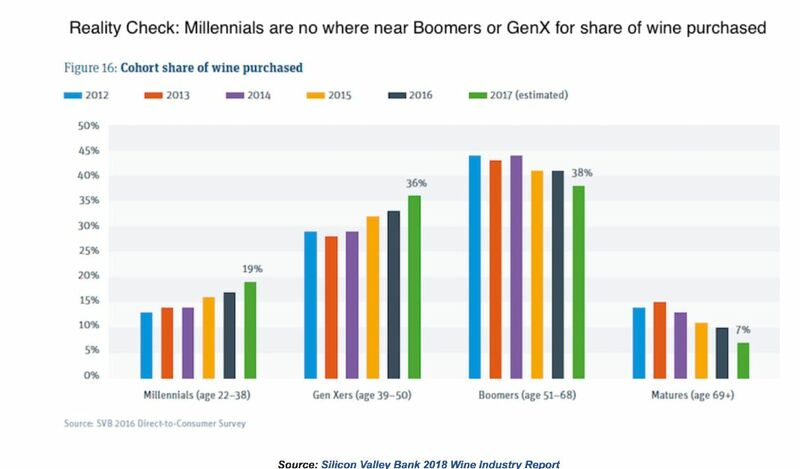 Direct-to-Consumer Survey by Silicon Valley Bank for 2016 shows that millennials are not buying wine at the rate of Boomers or Gen X. This may not be as bad as it seems for millennials have often not reached the age where they have significant spendable income to purchase fine wine. According to Turrentine Brokerage, a consultancy bulk wine and grape brokering company that assists grower and winery clients with supply challenges, the 2012 Crush Report indicated that the Central Valley of California produced 12,730 tons of Pinot Noir from 24 bearing acres in 2012 or 530 tons per acre! Reporting of acreage numbers is voluntary, however, so the most reasonable estimate is that mature Pinot Noir vineyards in the Central Valley averaged ten tons per acre in 2012. Contrast this with many Pinot Noir vineyards in the coastal areas of California that produce between 2.5 and 6 tons per acre or even less. Winemaker Wes Hagen put it bluntly, “They do grow Pinot Noir in hot California regions for cheap, awful plonk that can be accurately described by its varietal’s name.” With the high demand for Pinot Noir grapes from coastal California that are in limited supply, producers may have to turn to using Pinot Noir grapes from the Central Valley that are of lower quality but inexpensive. 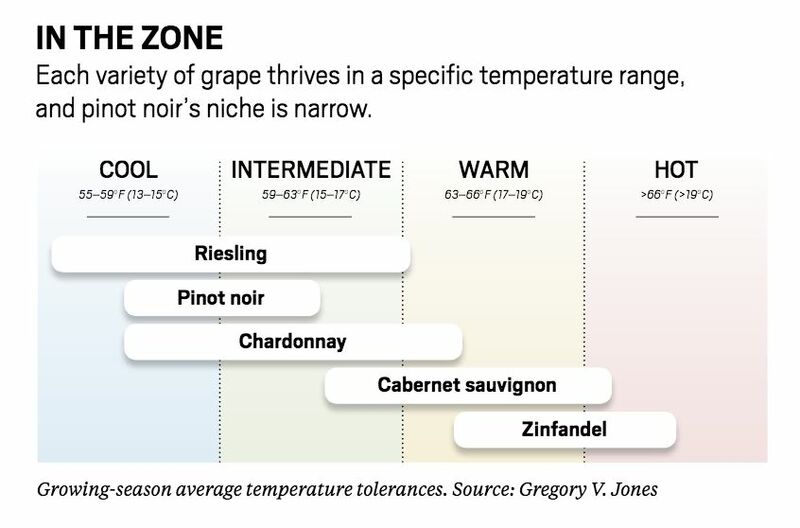 Glenn McCourty has cautioned that this potential trend may have a damaging long-term effect on the image and popularity of California Pinot Noir. Because of the 75% rule, not all “value” Pinot Noir is made with 100% Pinot Noir grapes. The popular Meiomi brand California Pinot Noir production is about 1 million cases annually. It is impossible to source that much California Pinot Noir with the current planted acreage - just saying. 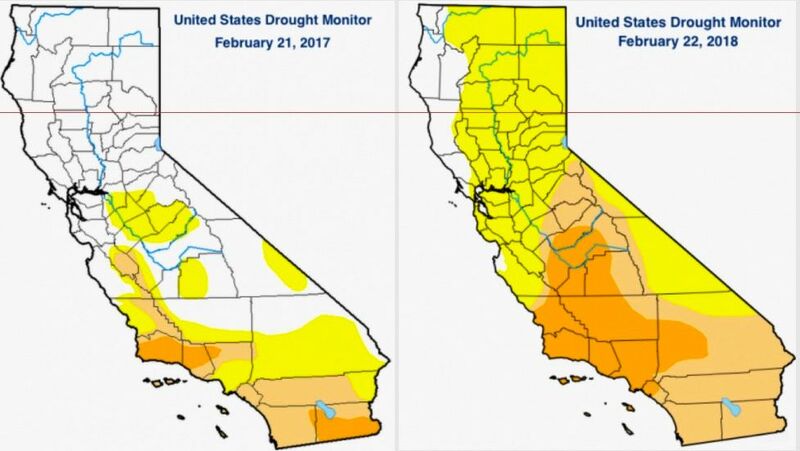 I could go on - there are issues with the drought, immigrant labor, intrusion of marijuana growers, and vine pests such as Red Blotch Grapevine Virus - but those subjects will be approached in future issues.